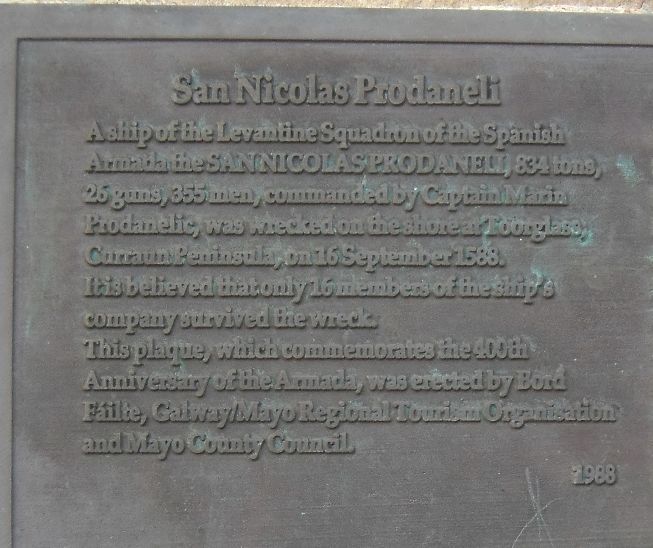 Along this stretch of coastline the Spanish Armada ship, the San Nicolas de Prodaneli, was wrecked after this famous failed invasion in 1588.It is believed that this ship was wrecked here on September 16th 1588 and that 355 men perished on board this vessel. 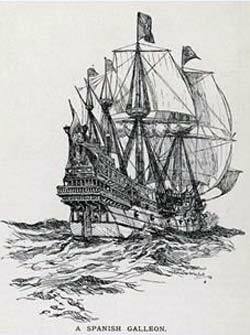 The San Nicolas de Prodaneli, named after her commander and probable owner Marin Prodanelic, was an 834-ton merchant carrack built in Ragussa, or present-day Dubrovnik, Croatia. It was previously called the Sveti Nikola. It was member of the Levant (Mediterranean) Squadron, she boasted 26 guns. The name given to this place in archives relating to the fate of the Armada is given as "Fynglasse," and is now known by the name Toorglass.